Depending on whom you ask, the 45-year-old Endangered Species Act is either a hallmark of this country’s conservation legacy or a failure in drastic need of reform. Just 1 percent of federally protected species have gone extinct, the law’s defenders say, while critics respond that only about 1 percent of such rare species have recovered. Now, conservation biologists and the U.S. Fish and Wildlife Service are trying to improve and modernize endangered species conservation using big data tools. An online application called the Recovery Explorer helps wildlife managers and budget-makers make decisions by revealing the costs and expected benefits of different recovery strategies for endangered species. Developers believe the tool can help create more effective recovery plans, but critics worry it could be used to justify the extinction of some species. While the act bars choosing which species to protect based on economic factors, money inevitably plays a role in recovery efforts. With a limited budget, Fish and Wildlife splits funds between programs it oversees, such as land rehabilitation partnerships, captive breeding programs or invasive species eradication efforts. Though the agency breaks down how it allocates money in annual budget documents, it does not justify its expenses based on how many species are likely to recover or be saved from extinction. Instead, projects are selected and highlighted for a variety of reasons — the ecological value of reintroducing wolves to Yellowstone National Park, say, or the economic and cultural importance of protecting the Pacific Northwest’s salmon runs. 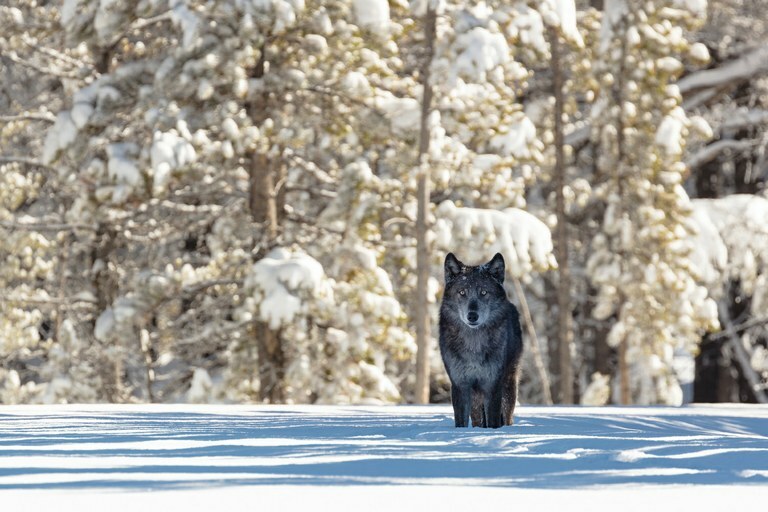 Yellowstone's wolves are an iconic example of endangered species recovery. The Recovery Explorer could change how species conservation decisions are made by adding big data to the decision-making process. In other words, there is no comprehensive investment strategy for endangered species conservation funding. “For an agency that talks about science as much as it does, the budgeting process is like black magic,” said Tim Male, a conservation biologist who advised on the development of the Recovery Explorer and founded the Environmental Policy Innovation Center, a policy-minded conservation nonprofit. Absent an organized and clearly articulated set of funding priorities, Fish and Wildlife relies on internal negotiations between the agency’s geographic regions, new species listings and prior budgets, said Male, who worked on ESA issues during the Obama administration. Missing from this equation is a system for developing national priorities for conservation funding. The Recovery Explorer, which was developed by researchers at Arizona State University in collaboration with conservation nonprofits and Fish and Wildlife, pulls together information on endangered species and allows decision makers to analyze the costs of different program priorities. Using existing data on species, the software compares different conservation objectives, such as the recovery and delisting of federally protected species or the prevention of new extinctions. However, the developers caution in an article published in Science, the Recovery Explorer is meant to assess the costs and benefits of different programs, not to create policy. While the developers warn against seeing the tool as the be-all and end-all of conservation decision-making, they do think it can improve recovery efforts. One of the questions it is designed to answer is how to maximize species recovery with a finite budget, something the authors call an “optimal allocation curve.” According to models generated by the software, at a budget level of $150 million, species recovery plans based on random selection are likely to recover about 100 species. But if cost-efficient recovery becomes the focus, the model shows that the same funding level could recover more than 1,150 species. “I can’t think of an idea as easy and low-cost to save as many species as this,” said Male. Critics of data-driven endangered species recovery programs cite an underlying flaw that goes beyond budget justifications into bioethical debates: The program could accept, and even be used to justify, extinctions. Making conservation decisions that prioritize some species at the expense of others is referred to as “conservation triage.” Scientists John Vucetich, Michael Nelson and Jeremy Bruskotter argue in Frontiers in Ecology and Evolution that applying the concepts of medical triage to conservation doesn’t make sense. The Recovery Explorer can provide information about the likely cost of conservation plans and create funding plans based on values such as preserving the last living organisms in a particular lineage of plants or animals. The big-data tool can reveal both the price of action and the costs of inaction. But the underlying question — whether or not we are willing to invest in recovery or continue to pay the price of extinction — is one the computers can’t answer.